We can blame Twitter’s latest desktop support for the new trend in emojis, or, those small, mobile symbols representing words, thoughts, and emotions. 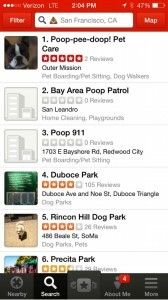 Now, anyone can use emojis to search for business on Yelp’s mobile app. Of course, we do have to ask ourselves – were many people using emojis to write Yelp reviews? Yelp searches are that lucrative.